The Unified Earth Halo 3 UNSCDF Logo Sticker lets you decorate your laptop, tablet or other item with this United Nations Space Command Defense Force sticker. The Halo video game military branch of the government. 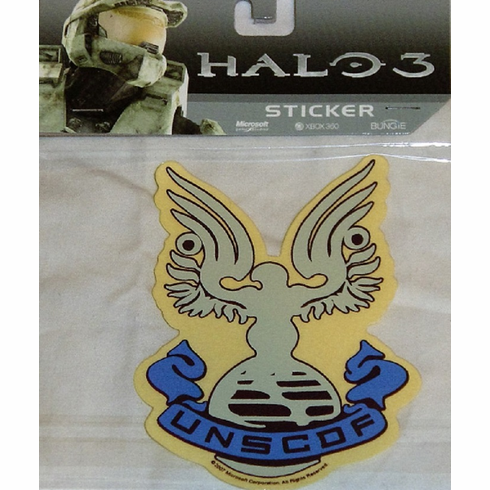 The Halo 3 UNSCDF Logo Sticker shows a grey eagle against a yellow background with a blue banner at the bottom and the letters "UNSCDF".